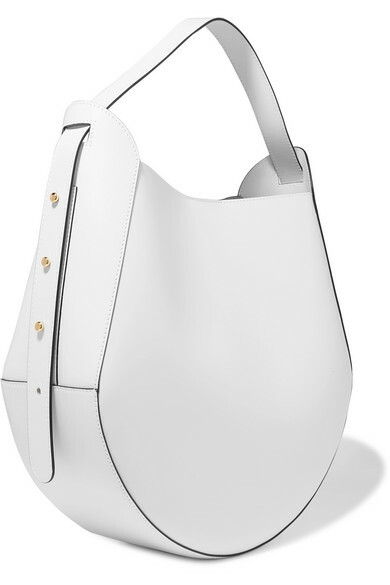 Wandler's bags combine elegant silhouettes with all the necessary functional elements to make them as versatile as possible. 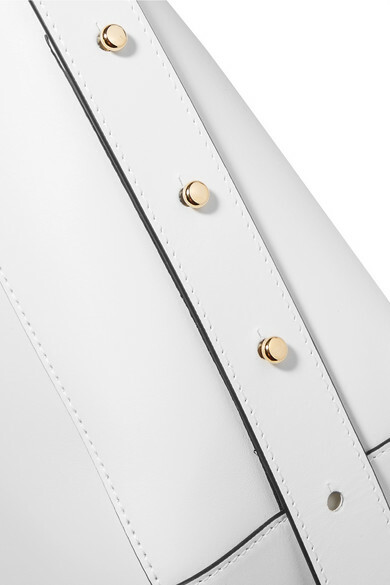 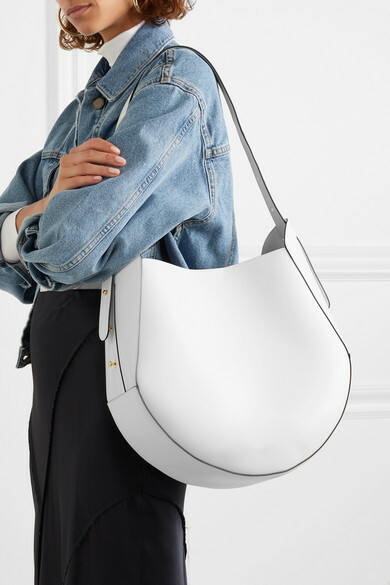 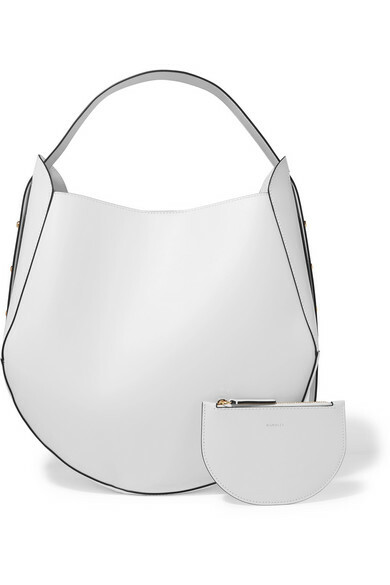 A perfect example (and the brand's newest style that's already set to be a huge hit), this 'Corsa' tote is made from supple white leather in a curved shape. 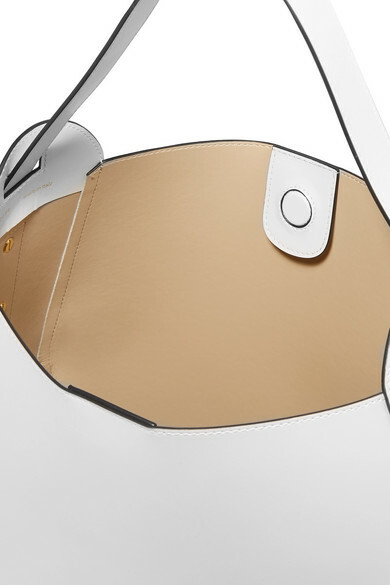 It opens to a spacious interior that will easily hold a book, tablet and cosmetics case, and has a detachable zipped pouch for storing smaller items. 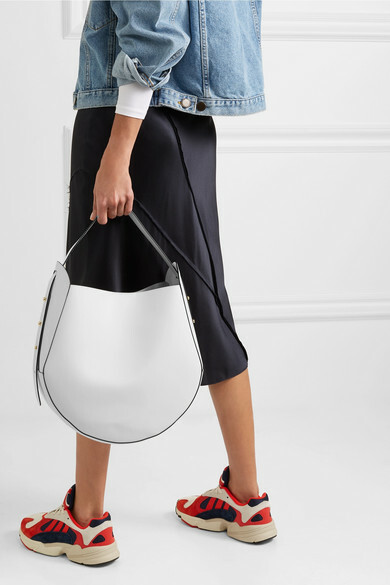 Shown here with: Vince Skirt, Maje Jacket, adidas Originals Sneakers, Wolford Bodysuit, Jennifer Fisher Earrings.